n his first arrival in the new land, Frobisher sent a party ashore on a small island at the entrance to Frobisher Bay. Here he told them to bring him anything that they found "in token of Christian possession" of the land. This action was taken as a first formal attempt to justify English use of the newly discovered country. "At lengthe, after diuerse attemptes, he commaunded his company, if by anye possible meanes they could get ashoare, to bring him whatsoeuer thing they could first find, whether it were liuing or dead, stocke or stone, in token of Christian possession, which thereby he toke in behalfe of the Queenes moste excellente maiestie, thinking that therby he might iustify the hauing and enioying of ye same things that grew in these vnknown partes." Photograph: Steven Darby "Some of his companye broughte floures, some greene grasse, and one brought a peece of a black stone, much lyke to a seacole in coloure, which by the waight seemed to be some kinde of mettal or Mynerall. This was a thing of no accompt, in the iudgement of the Captain at the first sight. And yet for nouelty it was kept, in respect of the place from whence it came." 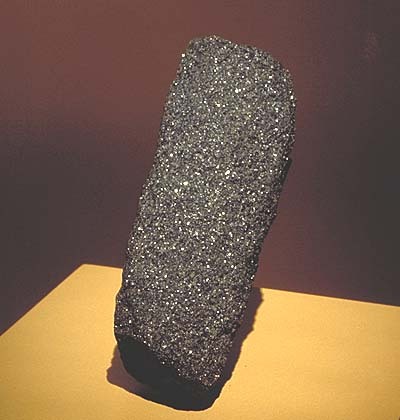 The consequences were enormous when a London assayer claimed that the stone was high grade gold ore. Because of this stone, Arctic Canada was to experience an invasion of English over the next two summers, and the first attempt to plant an English colony in the New World. 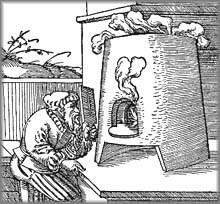 Sixteenth century assaying was based on a mixture of alchemy and science. 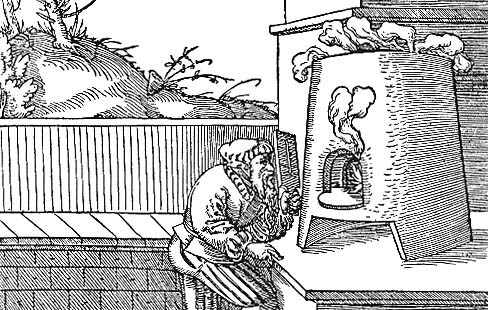 This picture of assayers at work is from De Re Metallica by Georgius Agricola, first published in 1556, which was the principal text on mining and metallurgy at the time of the Frobisher voyages. 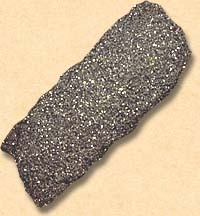 The news that there was gold in the black stone picked by Frobisher from an Arctic beach set off the first gold rush in Canada. The investors in Frobisher's first voyage joined with others to form the "Company of Cathay". Queen Elizabeth was one of the major stockholders, and subscribed £1000.